Change can be hard, especially when you’re talking about website design tweaks that involve the tech team and decision makers. To make an update (and improve your marketing campaign’s ROI), you have to rally a group to make any progress. But a recent success story highlights why the effort pays off. 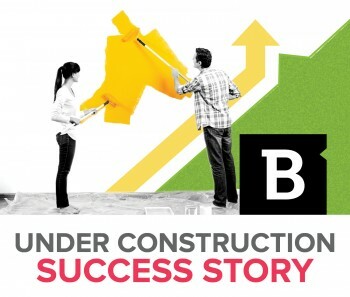 One Brafton client in the home decor industry moved two calls to action into prime real estate on its blog content pages and saw conversions triple over the course of three months. On top of that success, the company worked with its content marketing strategist team to assign dollar values to various on-site goals and determined that its blog content was responsible for a significant share of retail sales. Brafton’s strategists had advised the client to change its blog layout because it wasn’t guiding visitors toward specific desired actions. The client wanted visitors to convert by looking up its brick-and-mortar store locations or signing up for its email newsletter, but navigation functions that people rarely used were taking up most of the page’s real estate. 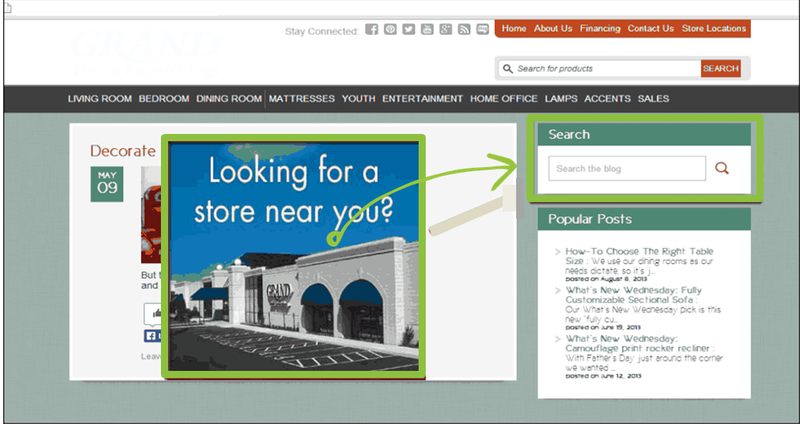 Under Brafton’s recommendation, the company replaced its on-site navigation bar with a call to action button that prompted users to find the nearest stores. It also swapped out a “popular posts” tab with a CTA where visitors could enter their emails to be added to its newsletter mailing list. 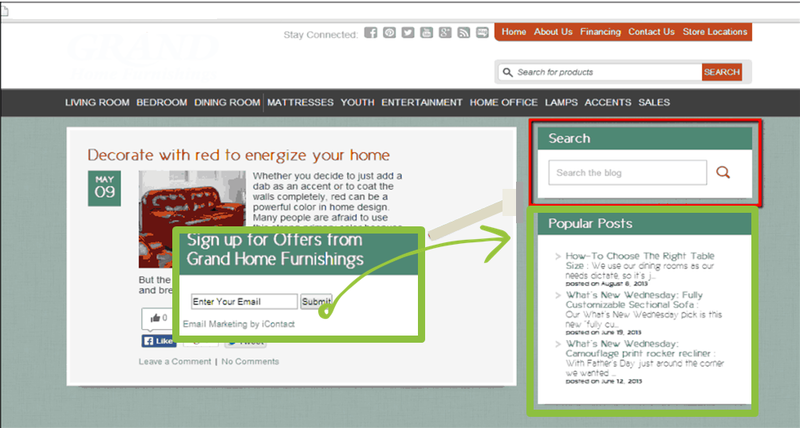 After making these simple changes, the client saw its conversions triple over the course of three months. There were hundreds of instances when users clicked to find stores in a certain geographic region, and a handful of newsletter signups. Because the company had roughly boiled down the dollar amount it could expect to earn from conversions on each of its content pages, the strategists concluded that the blog had generated well above 10 times what they spent on their content in the period since the goals had been established. It can be hard to measure ROI when you don’t have the proper system in place. However, it’s crucial that marketers put a system in place that empowers them to prove their investments and strategies are providing clear-cut value to the brand. Check out this blog to see if you’re making a common website design mistake that’s hurting your bottom line.